With the passing of M Karunanidhi, a chapter in Tamil Nadu politics has ended. How will the five time chief minister be remembered by history? 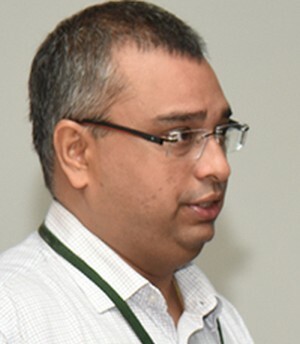 "He was not a Chanakya who could look beyond his family," Dr Padmanabhan Sudarshan, below, trustee, Association of Democratic Reforms, and co-ordinator, Tamil Nadu Election Watch, tells Rediff.com's Shobha Warrier. Karunanidhi's death has been described as the end of an era in Tamil Nadu politics, and rightly so. How will future generations remember him? He is undoubtedly one of the greatest politicians Tamil Nadu has produced. I would go on to say he could have been a great leader at the national level too, but he did not. In the later years, he attempted to contribute much more to national politics, but somehow, his reputation was by then tarnished as a corrupt politician. He was one political leader who did not lose a single election, not even in 1991 when the sentiments were against the DMK after the assassination of Rajiv Gandhi. In fact, he was one of the two DMK legislators who won that election. Another great achievement of his is, he was the leader of a democratically elected party for 50 years. The DMK is one of the parties that has inner-party democracy, to some extent at least, and he was an unchallenged and undisputed leader for 50 years which is a remarkable achievement. When you write the history of Tamil Nadu, will he be placed above C N Annadurai, K Kamaraj and M G Ramachandran? I would not say that. In the case of Annadurai, he started with the Justice Party, the Dravida Kazhagam and then founded the DMK going against the wishes of Periyar (E V Ramaswamy Naicker). Karunanidhi joined later. So, he was not the founder of the party. Annadurai fought many battles in his career against the Congress and many of the national leadership. He came up with the Dravidian ideology and started the principle of federalism where states have more power. Annadurai invented stage art to propagate the ideology he followed. In those days, cinema and stage were using very formal Senthamizh (pure Tamil) and in some cases very Brahminical Thamizh, but Annadurai made Thamizh very accessible to ordinary people. In fact, an entire generation of writers including Karunanidhi was influenced by Annadurai's writings. And when Karunanidhi took over, he was not the second in line. It was V R Nedunchezhiyan who was supposed to follow Annadurai. But Karunanidhi being an astute politician positioned himself as the next leader. He has been described as a Chanakya. Do you feel his mind worked like Chanakya's, especially the political moves he scripted for himself? I wouldn't say so. In Tamil Nadu, though some of his moves were successful, many of his moves also backfired. For example, he used MGR to take the party to power and when he found that MGR was a threat, he sidelined him. But MGR starting the AIADMK reduced the DMK's vote bank. Right now, the AIADMK has 7% to 8% points more vote share than the DMK in the state. Yes, he was an extremely astute, calculating and clever politician. But Chanakya never did anything for himself. You could disagree with Chanakya's philosophy, methodology of politics, but Chanakya never did anything with his personal interests in mind. In that sense, you can't say Karunanidhi worked only with the interests of the people of Tamil Nadu and Tamil Nadu alone in mind. Do you feel whatever Karunanidhi did as a social reformer will be overshadowed by corruption and love for his family? That is the tragedy of Karunanidhi. He was not a Chanakya who could look beyond his family. You asked whether he was a leader who was on par with Annadurai or Kamaraj or MGR. Had he not looked within his family, he would have been right up there. He had started a lot of social welfare schemes for women and the downtrodden. He was an extremely clever, well-read and smart politician and a very good administrator. Along with that, he will be remembered as a person who could not win two consecutive elections. It meant people did not give him one more chance because of the perception they had. The Sarkaria Commission report also mentioned that. That is his tragedy. Whatever good he did, all his achievements were overshadowed by the perception of corruption and other things. That is the sad story of Karunanidhi. Will the politics the AIADMK played, by not allowing him to be buried at the Marina next to Annadurai as per his wishes before bowing to the high court order to do so, give M K Stalin popular support and sympathy? Even in the 2016 election Stalin led the party admirably and the only reason the party lost was because of the weak coalition. The DMK had more vote share too. If they had contested more seats, they would have won the election. Jayalalitha defeated him tactically. The DMK is doing much better than how they were doing 5, 6 years ago. What will happen to the DMK without Karunanidhi? The DMK is synonymous with Karunanidhi, but he was not very active for quite a few years. It was Stalin who was literally leading the party. Can Stalin lead the party as an undisputed leader without Karunanidhi there to support him? Karunanidhi's was the real rags to riches story. A boy who ran away at 14 went on to become a literary figure and a mass leader in the state. He dominated the art, cinema and political scene in Tamil Nadu. In many ways, he was the complete package. His failure in later years was corruption and love for the family. Stalin can never be Karunanidhi because he was the last mass leader we had in Tamil Nadu. But Stalin has, by now, consolidated his position as the leader within the party. The general perception of the DMK is that everybody in the party is corrupt. So, Stalin has to work hard to change that perception. 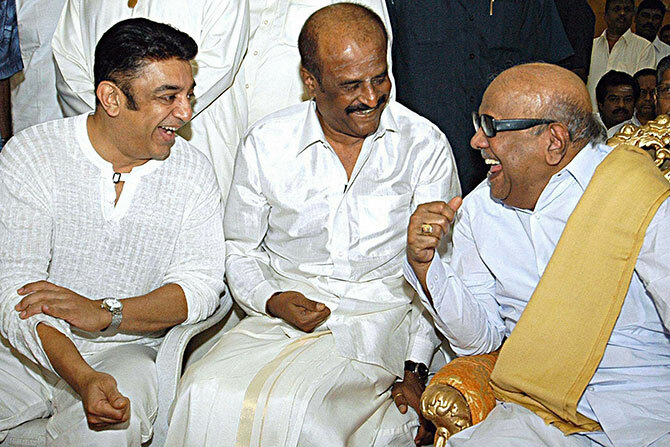 You feel the DMK won't split? I don't see that happening. Stalin has the advantage of working within the party for 40 years. He was also the mayor of Chennai, the local administrator and also the deputy chief minister. You can say he has been groomed very well by Karunanidhi.